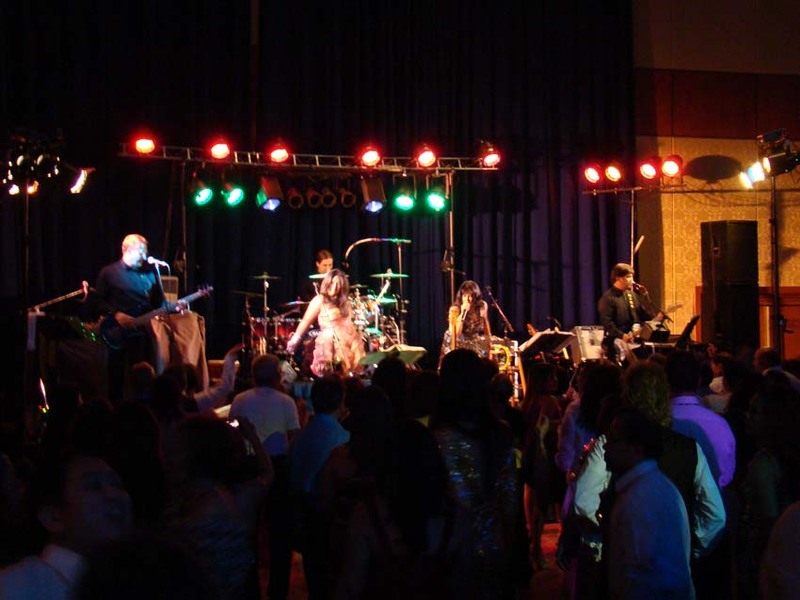 Oracle Band News and Information: Oracle performs for Migrant Heritage Foundation "People's Ball"
Oracle performs for Migrant Heritage Foundation "People's Ball"
On Saturday, June 23 Oracle performed at the grand ballroom of the Wardman Park Marriott for a special event commemorating 114th anniversary of Philippine independence and the 106th anniversary of Filipino migration to the US. 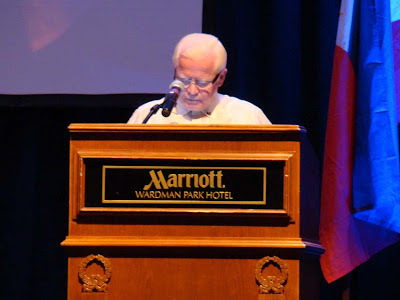 Sponsored by the Migrant Heritage Commission, the event was attended by hundreds, including the Philippine ambassador to the US, His Excellency Jose L. Cuisia Jr. The marathon 7 hour function featured an opening consisting of the presentation of the US and Philippine flags by an Army honor guard, the National Anthem sung by a very talented young lady by the name of Kirby Asunto, a traditional dance group, a Filipino martial arts performance, and a featured performance by the classical/pop tenor trio "The Angelos". There were also dozens of awards for members of the Filipino community for their service to the community at large. Once the dancing got started there was no stopping these folks. With a dance floor the size of a house it was incredible to see it packed to overflow, with folks dancing in the far reaches of the room. We had not one but TWO different DJs to help us out during the breaks so there would be no break in the music. We're also thrilled to report that we have already been asked to return again for next year's event. We're looking forward to it!!! We hope you will enjoy ALL of the photos we took from this year's gals.